Attractive Roofing Solutions has an expert team of roof tilers who specialise in all aspects of roofing. We provide a full range of roofing services for commercial and residential roofs (single dwellings to multi residential dwellings). We provide high quality work at the best price possible. We offer free roof inspections & quotes. Attractive Roofing Solutions always source the highest quality roofing materials on the market from the leading brands. Attractive Roofing Solutions will provide expert advice about the best brands, products and techniques that are most suitable for your roofing project. We will help you find the best tile to suit your aesthetic, functional and budgeting goals. We are happy to provide sample tiles and colour scheme advice. Terracotta roof tiles are fade-resistant and do not rust, warp or corrode. Terracotta roof tiles will protect your home against the harsh elements, providing you with piece of mind for many years to come. Their functional attributes and high quality aesthetics make terracotta roof tiles a very popular choice. Attractive Roofing prides itself on providing, personalised service. We are one of the few Sydney roof tiling companies that never engage subcontractors to perform their roofing work. We will personally carry out your roofing job. This we are able to offer the lowest price possible and the guarantee that the work will be of the highest quality. Please contact us for your FREE roof inspection & quote. Attractive Roofing Solutions has inspected and installed hundreds of roofs over the years. From our experience its best practice for a roof to be inspected every eight years to eliminate further damage occurring and minimise costs. Check whether the roof is sarked or unsarked. In the section where it is leaking old tiles will be removed to analyse their condition to ensure their function is still correct. If we do find a leak we will match the old tiles using second hand tiles to the closest available match. If the tile is still manufactured we will purchase and reinstall. Once you roof inspection has been completed, our FREE comprehensive all-inclusive quotation will be offered outlining all of the products and services required and will give you the total price inclusive of GST and all other costs. 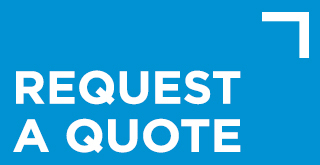 Insurance cover letters can be supplied with your quote on request. Attractive Roofing Solutions coordinates with gutter fascia installers. Per the request of many of our clients we arrange gutter fascia to deliver a hassle free service to deliver your complete roofing package. Please contact us at Attractive Roofing Solutions today either by phone (0415 715 255) or email eddie@attractiveroofingsolutions.com.au today.